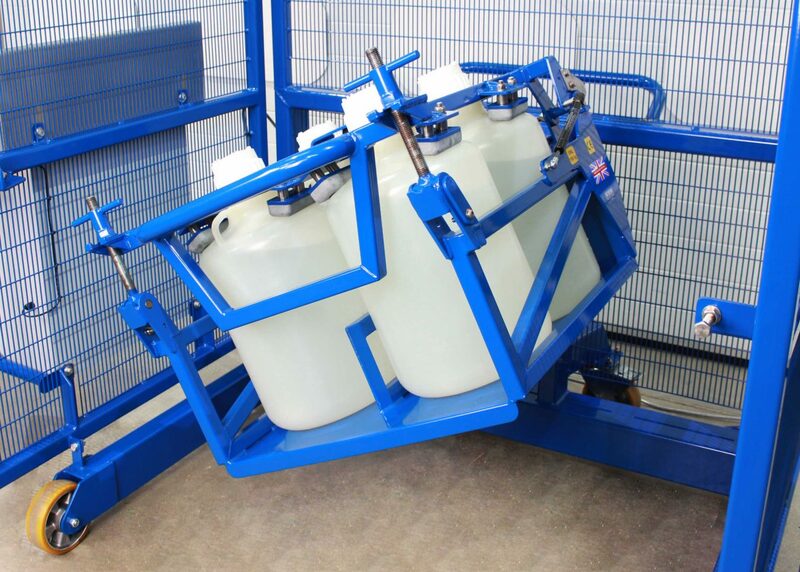 A large European pharmaceutical company had a requirement to mix 20 litre carboy containers of a fixed size. The bottles had to be mixed end-over-end, four at a time. As there was no ATEX requirement the unit could be electrically powered via a mains power supply. 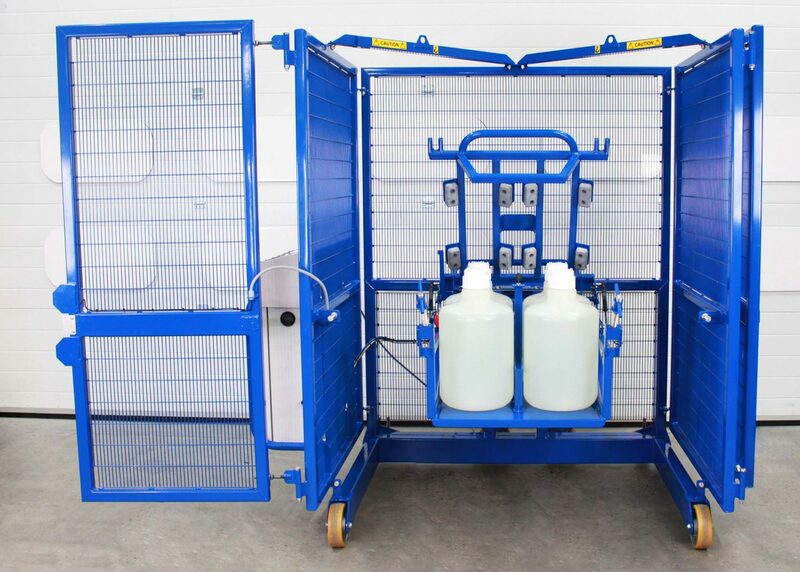 Mixer cage fitted with safety interlock to prevent mixing when opened. include an integrated mix timer which automatically stops the mixing cycle. Four bottles secured into the bespoke mixer head. 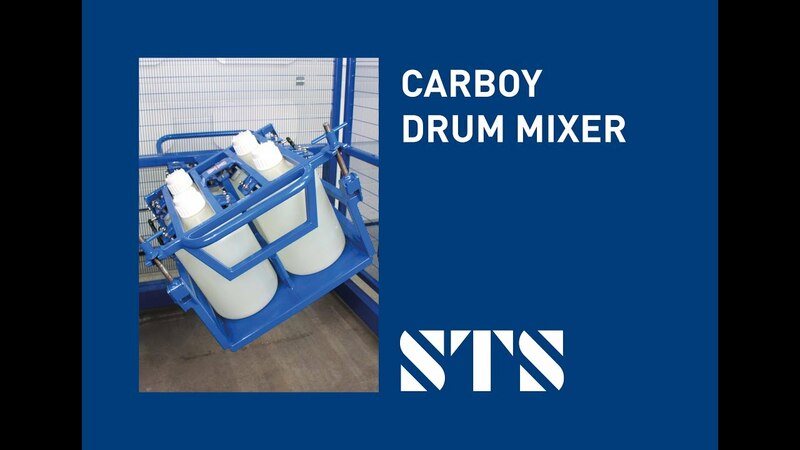 If you have a drum mixing process which requires a bespoke piece of equipment, we’re here to help. Get in touch with a member of the team to discuss your requirements and how we can support you and your company.